Maybe I’m just stupid. I mean, I’ve never been good at math. But Gwydion Suilebhan’s 90 minute play takes us so deep inside his head and through so many layers, I was lost 5 minutes into it and never dug myself out of the equation. Oh, but it’s ok because the playwright, who’s played by an actor (not to be confused with another actor who also plays the playwright), stands up in the audience to, essentially, apologize for the play’s confusifying structure. So, we’re all cool, right? I mean, if we acknowledge the play’s a mess within the play, that makes it ok, right? But, by the end of the play, I was just confused. Too many ideas and none of them focused or, more importantly, presented in a way that made me care what’s going on. And while the cast is filled with talent, they resort to yelling and running about to keep up with the chaotic material. It’s exhausting. That said, I look forward to Nothing Special Productions’ next effort. They always keep us on our toes! 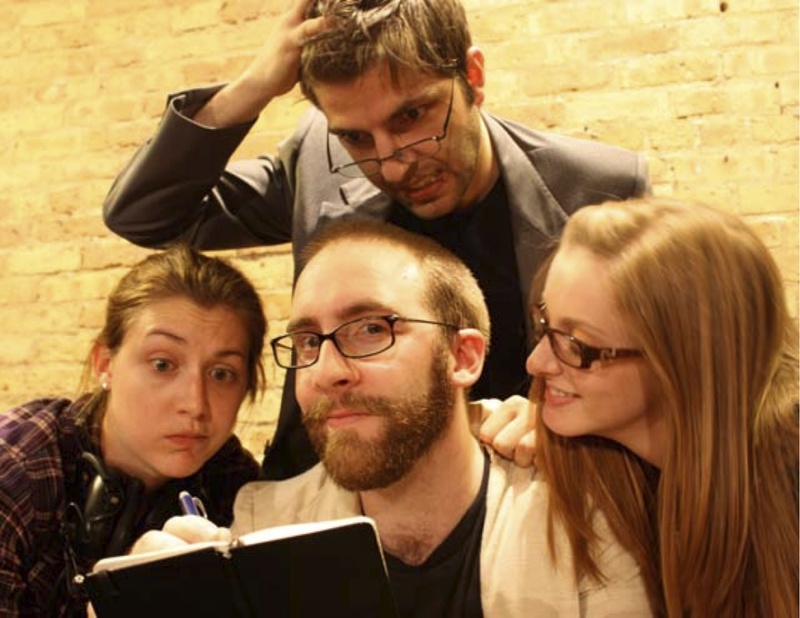 And they were recently named the “Best Off-Loop Theatre Company” by the Chicago Reader‘s readers and community. Next Post Do people actually pay attention to theatre bloggers?